WE BELIEVE YOU SHOULDN'T HAVE TO COMPROMISE. 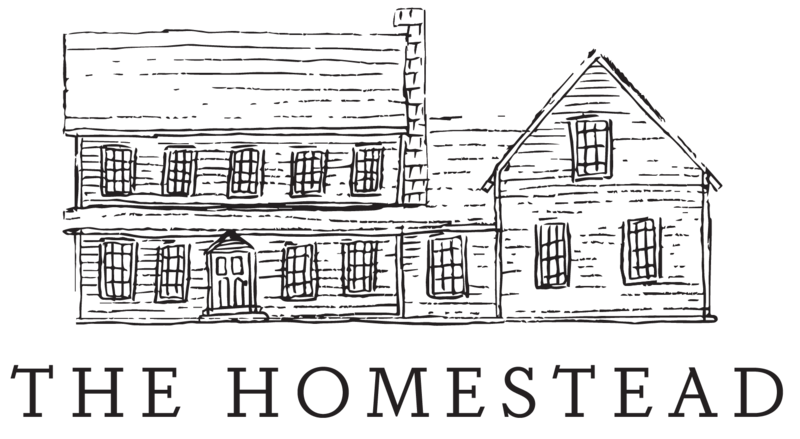 Many of the dishes we offer here at The Homestead are recipes that come straight from the Bahler family’s table. When Jody was in the thick of raising her young family, she loved to experiment with recipes from breads to casseroles to desserts, and everything in-between. Often, she would make meals ahead of time and freeze them for later convenience. This is the approach we take at the Homestead. Instead of adding preservatives to our products so they can sit on the shelf longer, we just freeze the freshness, and you can taste the difference. This is what we are passionate about: the fact that what we make here is not commercialized-adapted for our benefit. We have no interest in compromising quality for quantity, just as we feel you shouldn’t need to. Online and in-store, we want you to feel at home here, surrounded in the comforts and atmosphere that you would have found back at the old family homestead. We want you to enjoy old-fashioned service and hospitality, and we want you to be as confident as we are in the quality of our products.